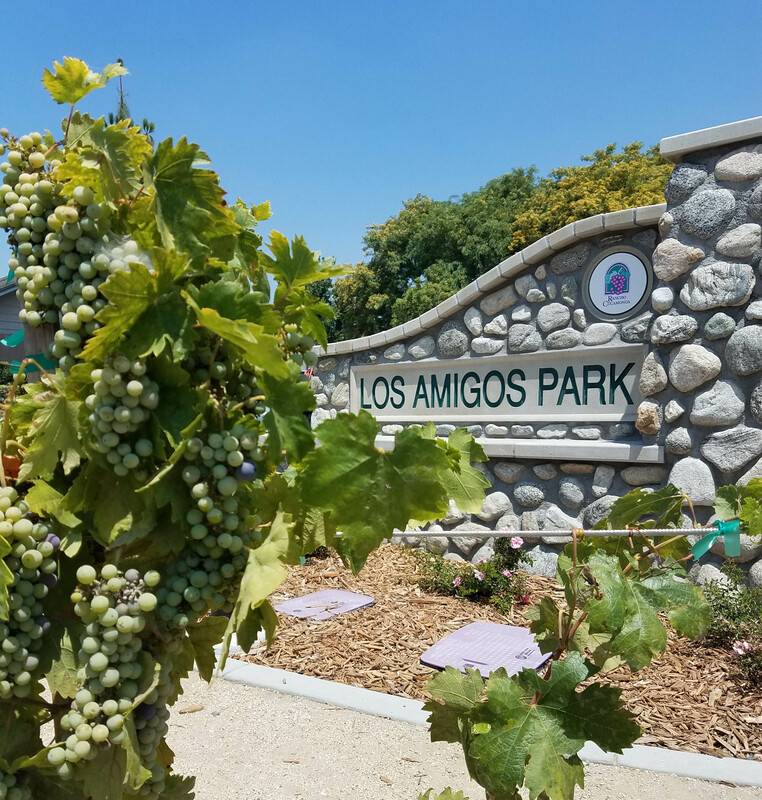 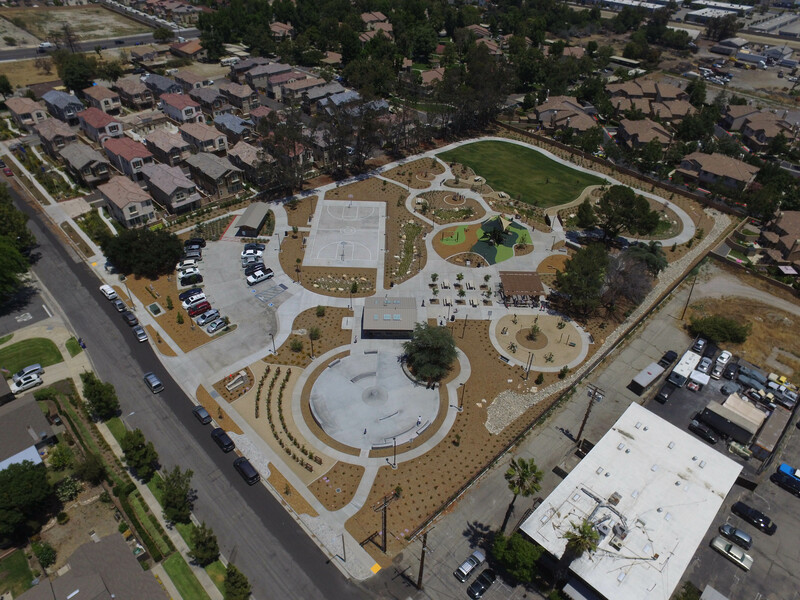 This 3.5 acre parcel located in the dense residential area of Rancho Cucamonga was ripe to supply the community with some green space. 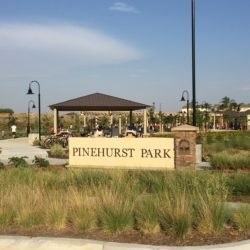 Using State Park Development and Community Revitalization Grants, the City was able to finance the project without limiting park amenities. 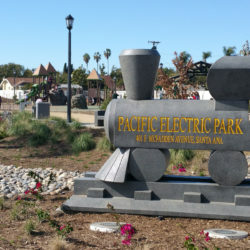 The new park site includes an outdoor fitness center with dynamic exercise stations to promote healthy living. 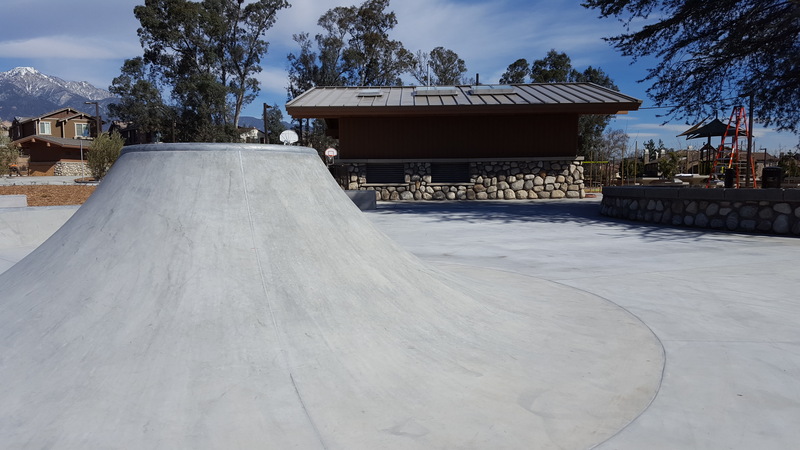 Other active recreation amenities include a full basketball court, spray play and shaded playground elements, and even a skate spot to appeal to the teens and pre-teens. 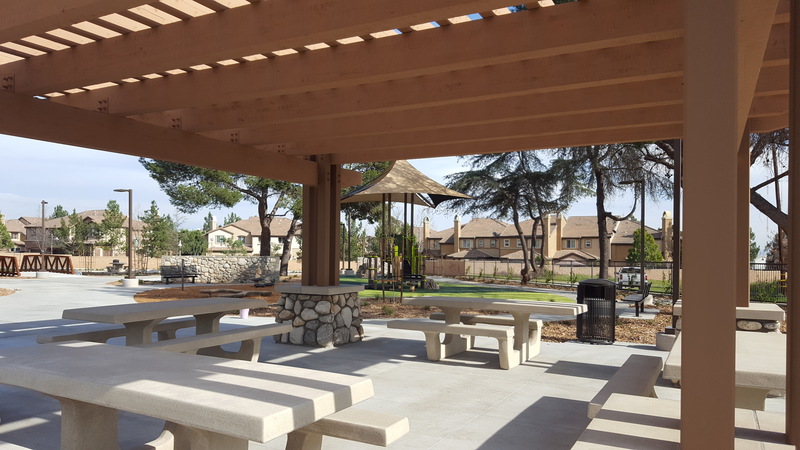 Picnic pads are dotted throughout the park, while visitors looking for shade can enjoy the overhead picnic shelter. 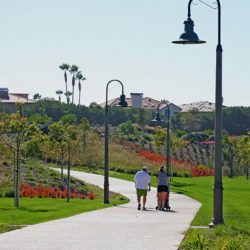 Maintaining a sustainable design, vegetative swales were designed throughout the site to capture and control stormwater, while the site was landscaped using California native and drought tolerant plantings to minimize water usage. 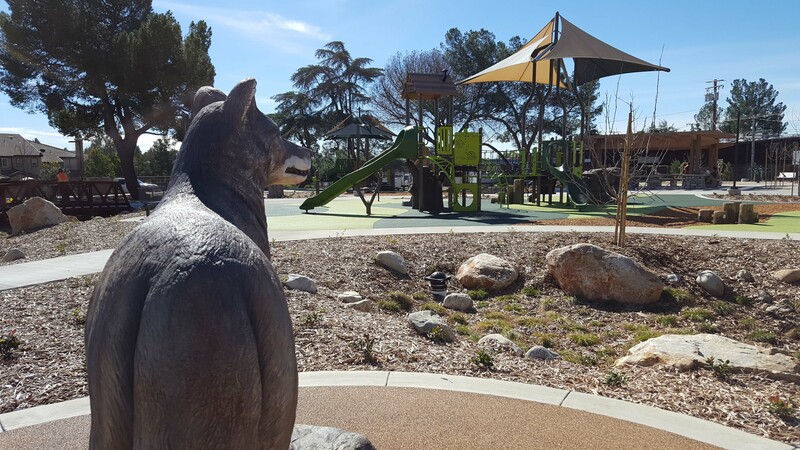 Materials from the site were re-used to construct the site features, while other materials were locally sourced. 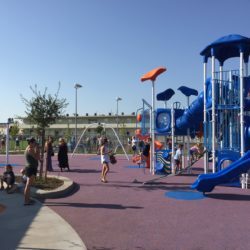 Community involvement was also a key component in the process, involving residents in community workshops to decide on the elements incorporated in the park. 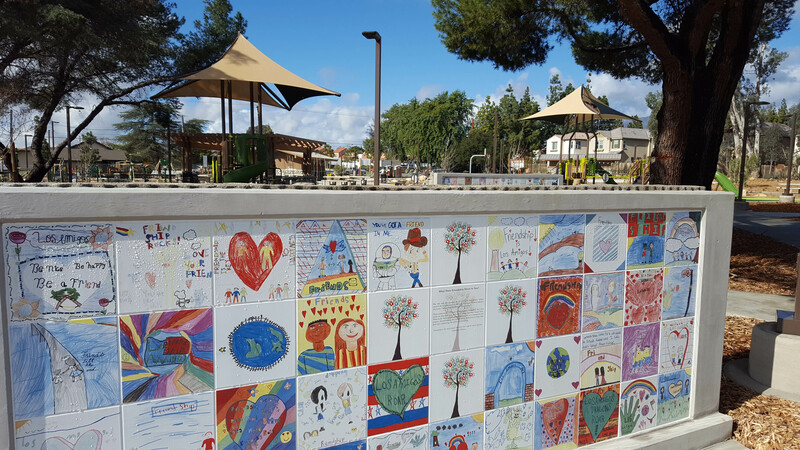 Local clubs and volunteers assisted in the plant material installation, while local artists participated in the creation of public art to be displayed in the park.